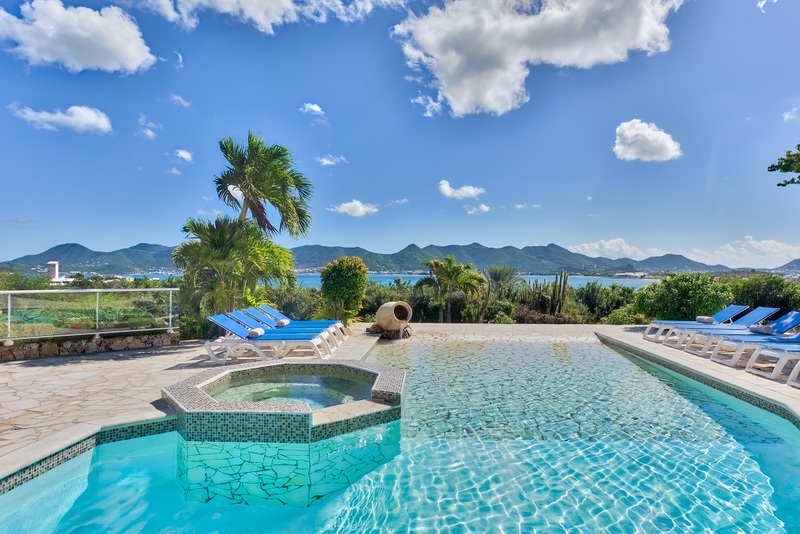 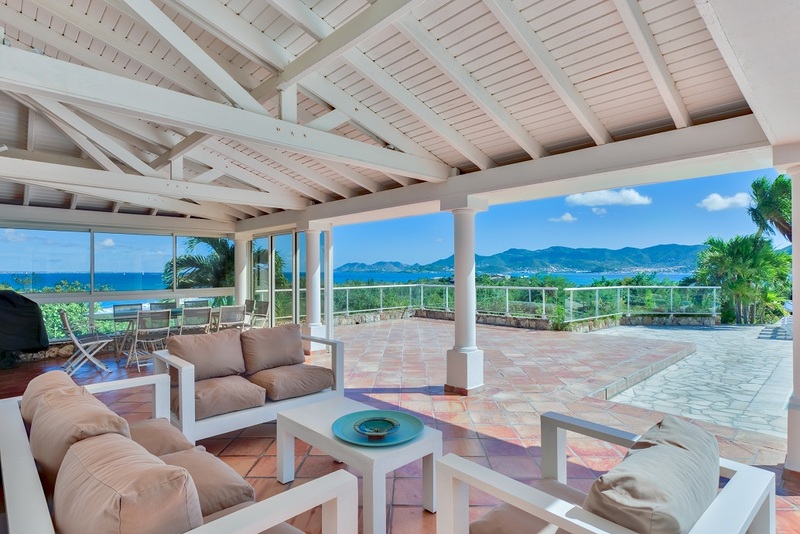 With a wonderful panoramic ocean view looking out towards the island of Anguilla, the Bay of Marigot and St. Martin's coastline, La Siesta is a Caribbean-style villa combining both comfort and elegance. 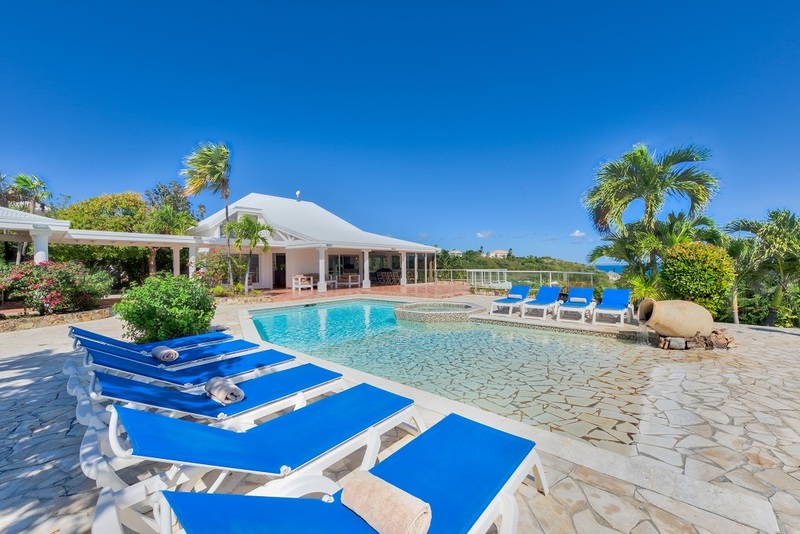 The central feature of this villa is a large pool with beach-style access surrounded by an extensive terrace with intimate seating areas and a glass-walled dining area. 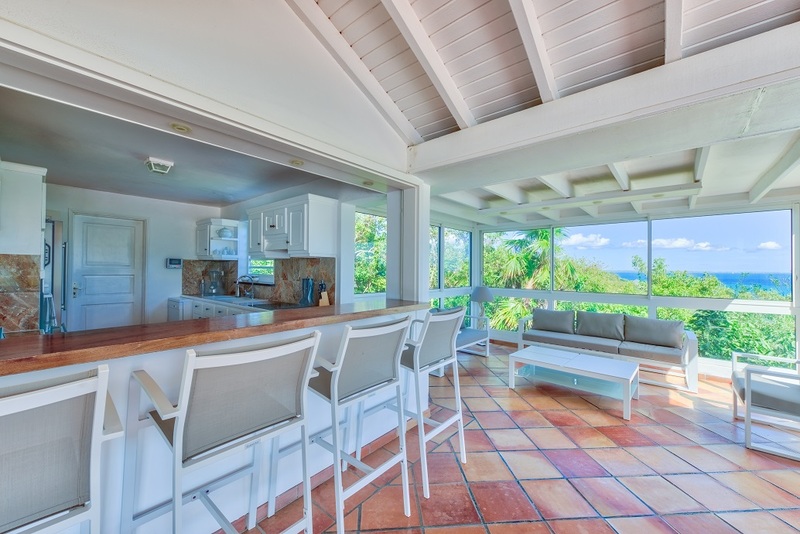 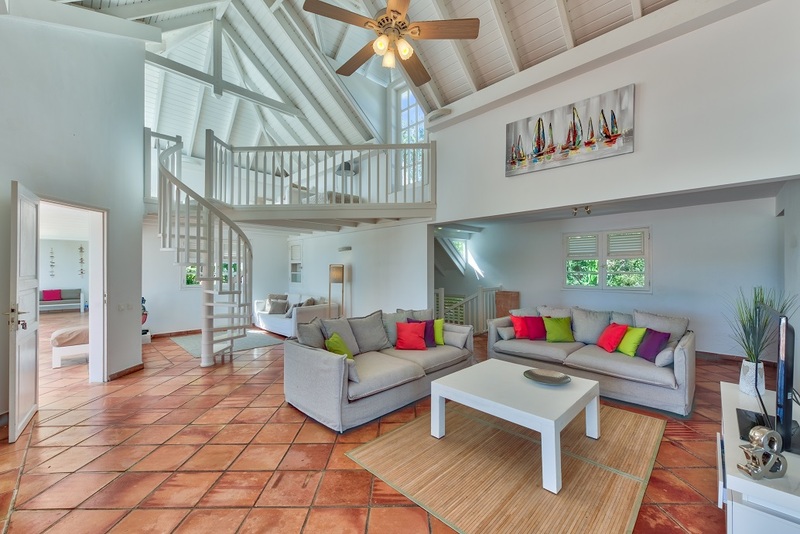 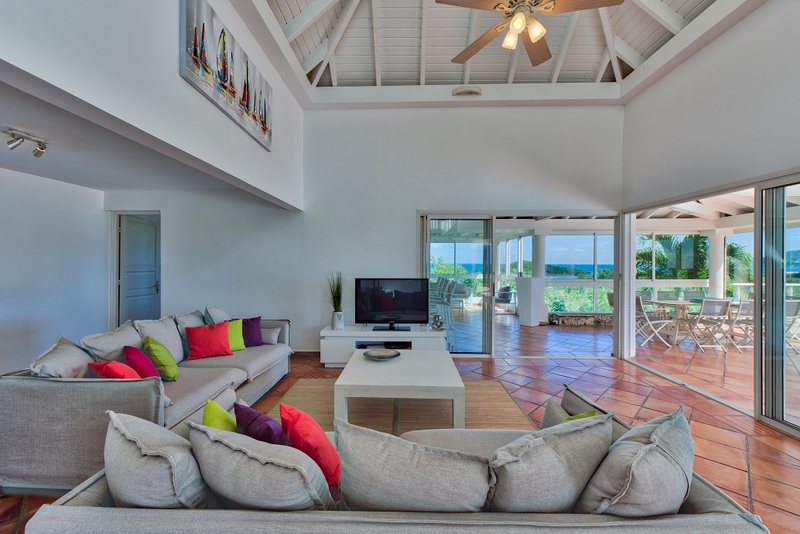 A spacious open-plan living area attractively furnished in bright Caribbean colours gives the whole interior an established air of tropical good taste. 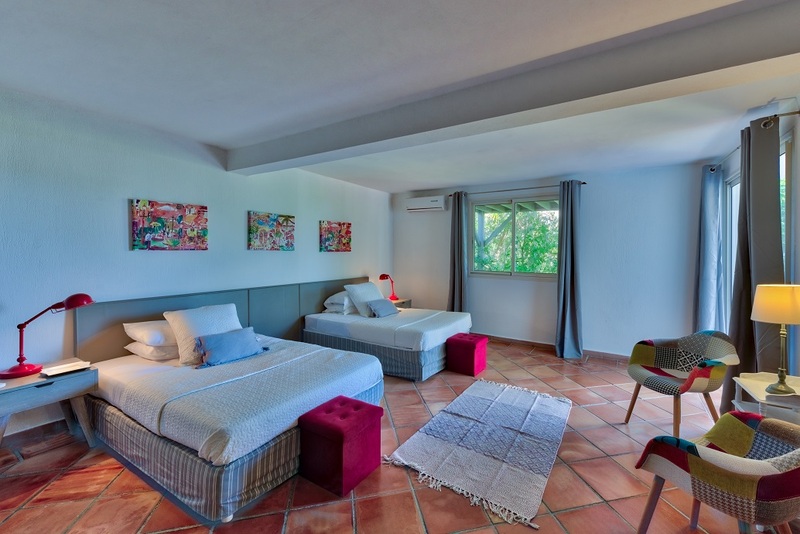 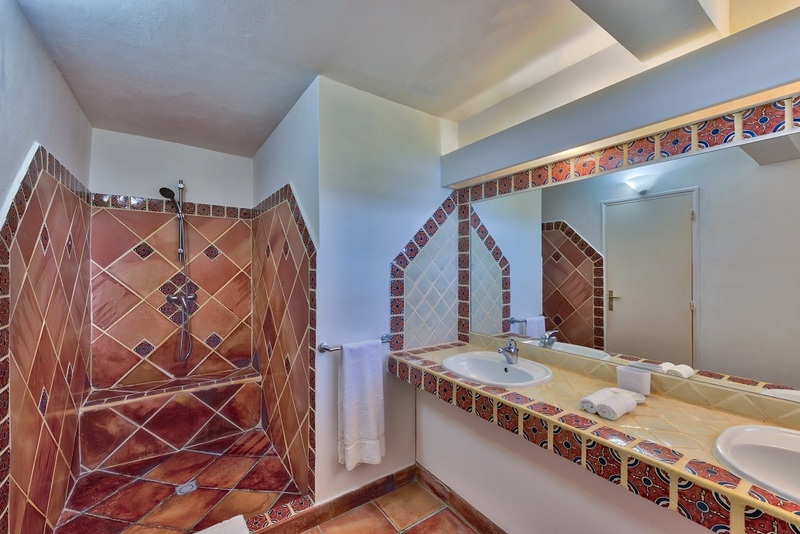 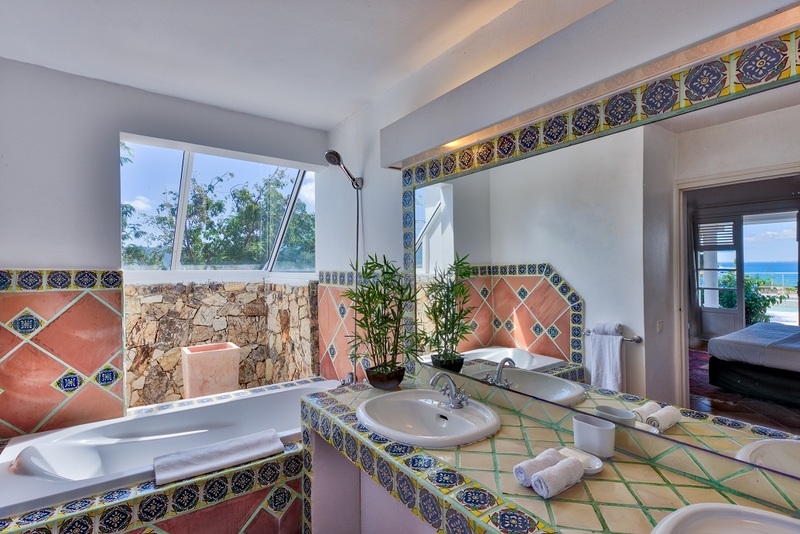 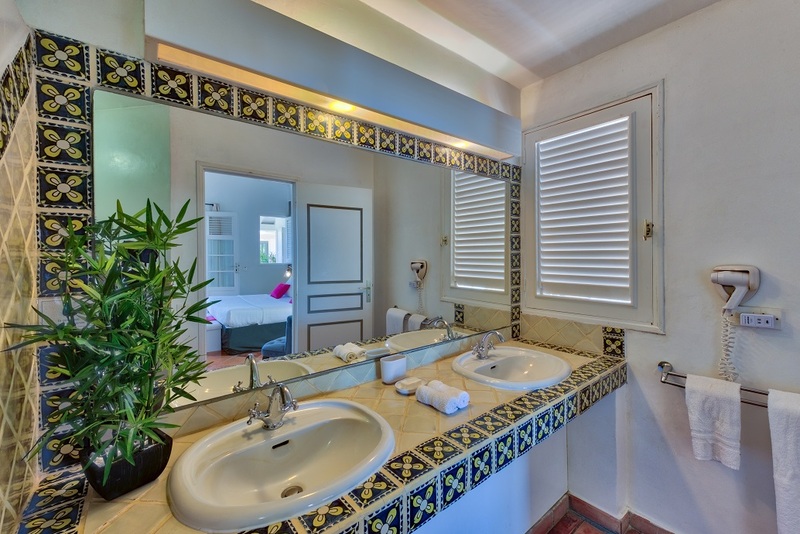 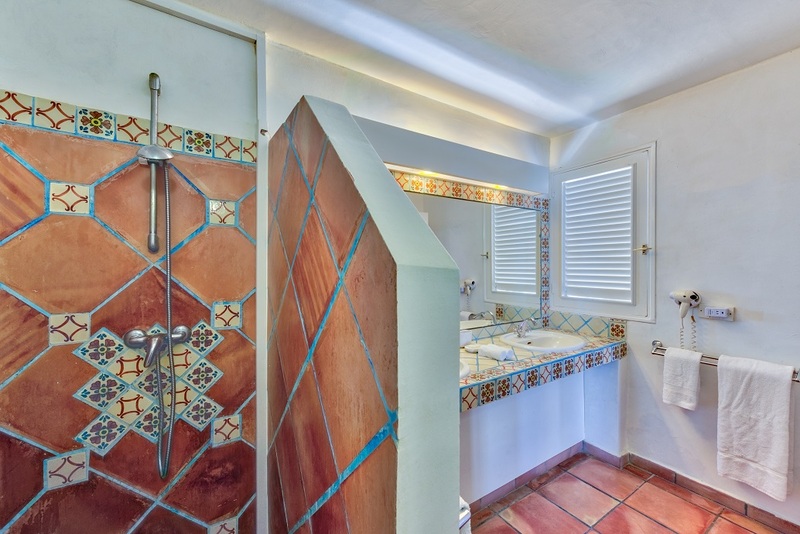 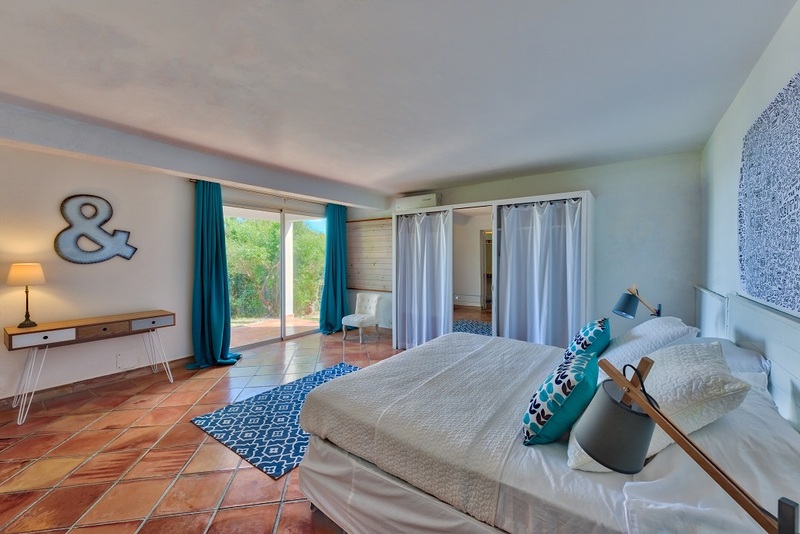 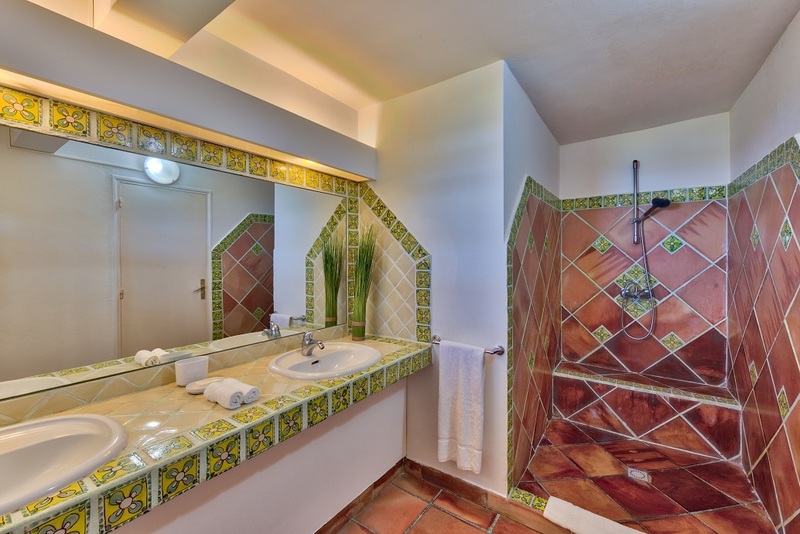 Opening onto the pool terrace are 3 pleasantly furnished bedrooms with adjoining Mexican tiled colourful bathrooms. 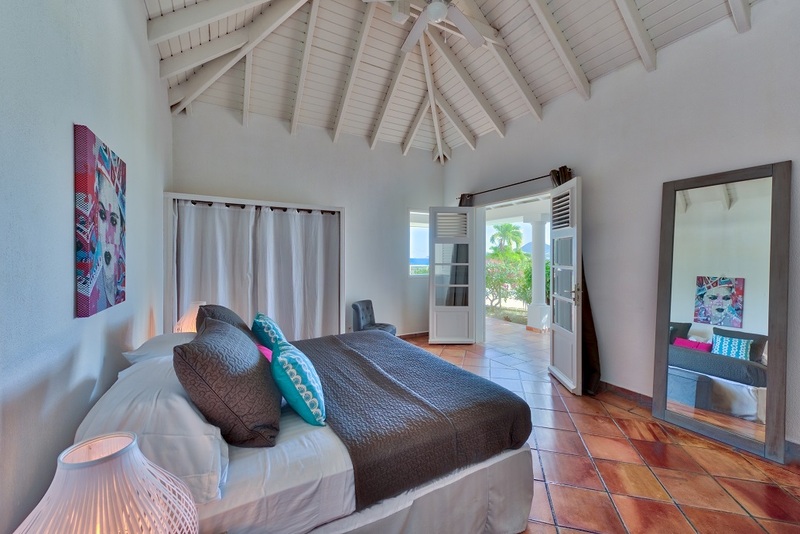 Two more bedrooms are to be found on the lower level enjoying views out onto the lush tropical gardens. 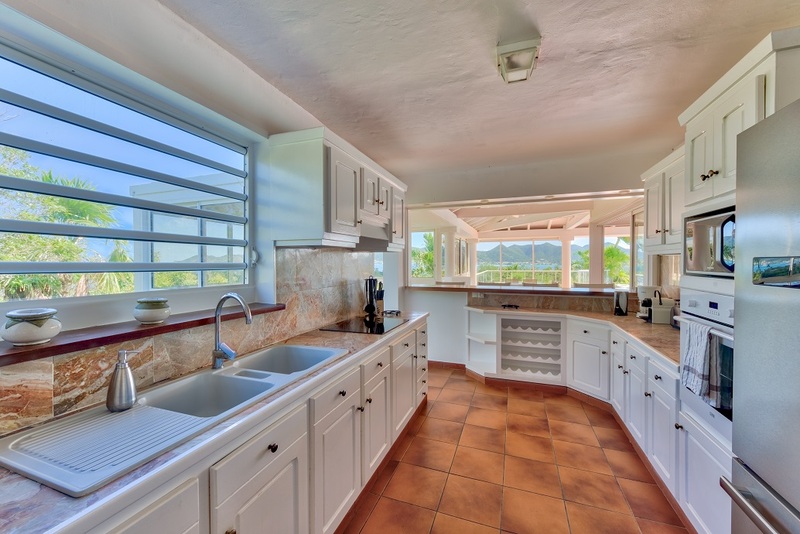 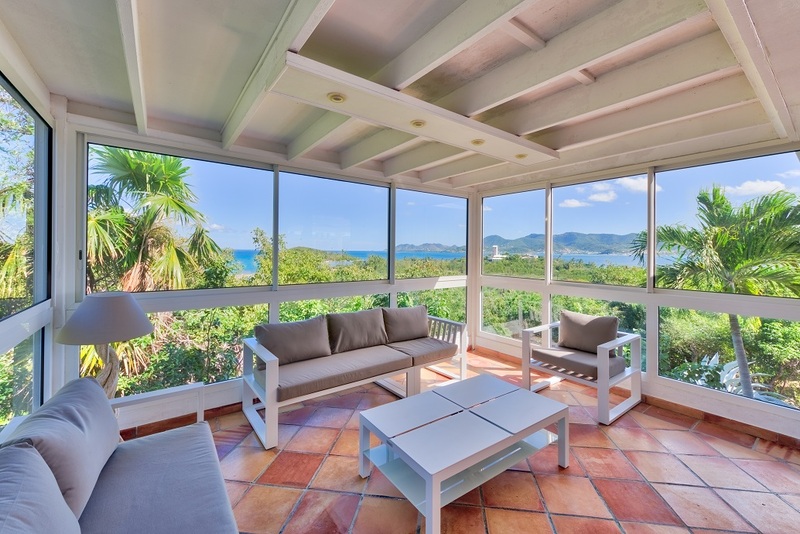 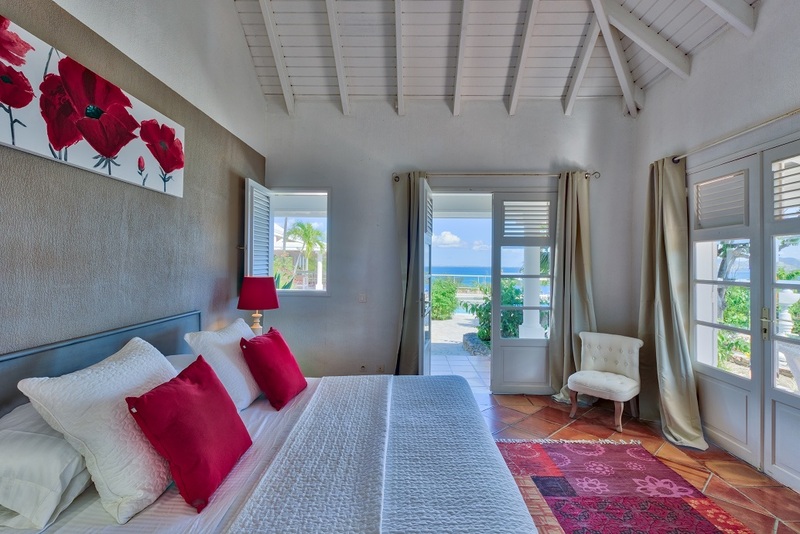 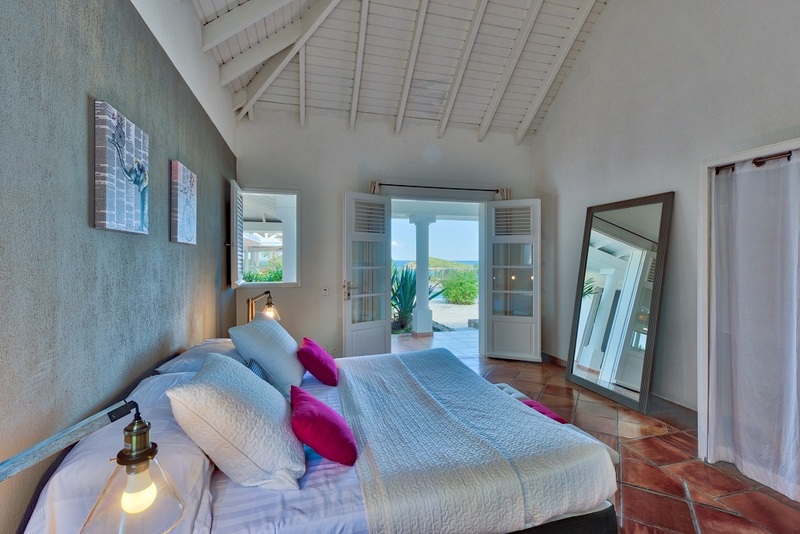 "La Siesta" Villa, as it's name suggests, is the ideal setting to relax and unwind in Caribbean style. 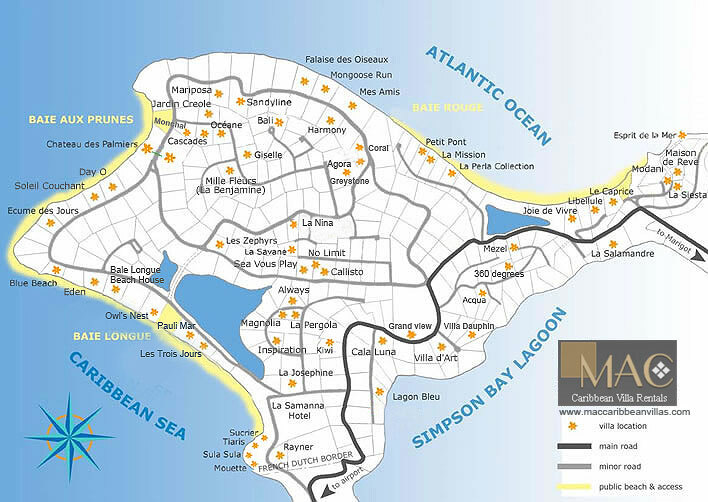 Just a few minutes walk to lovely Bay Rouge Beach.